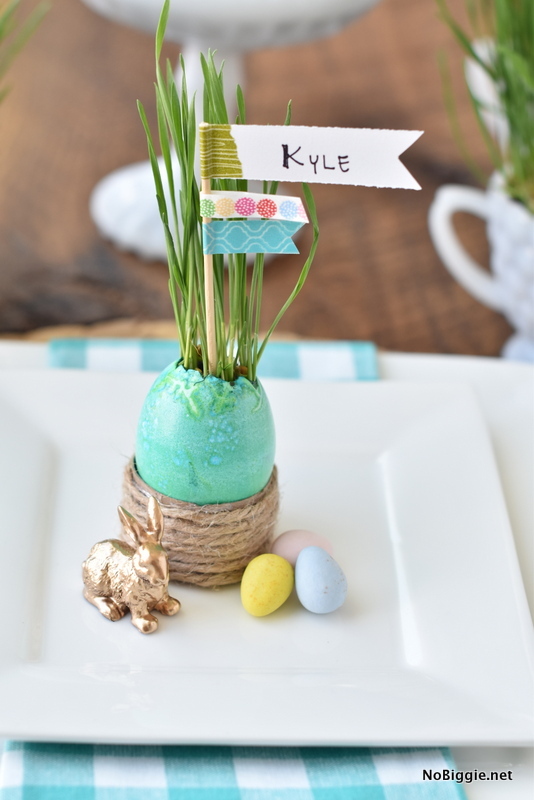 With Easter coming up, here’s a simple Easter Table setting using real Easter Grass. It’s a great way to bring the outdoors in with real grass. 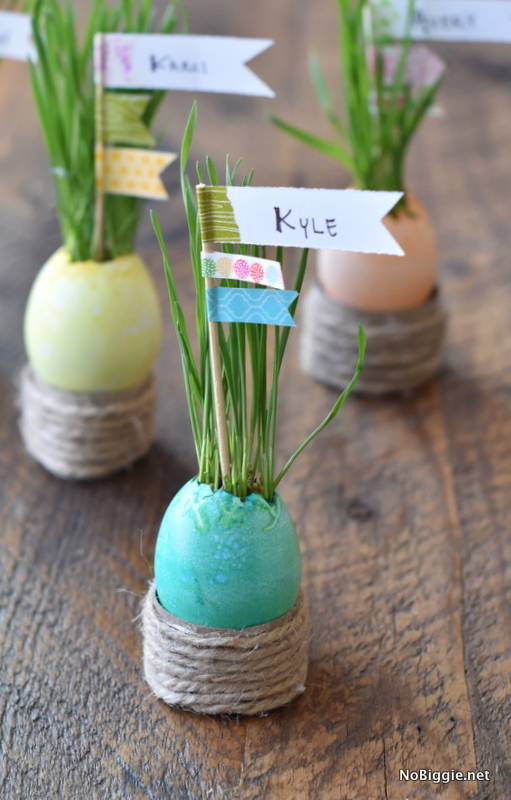 We made a quick video to show just how easy these little Easter grass eggs are to make. All you need is time. It takes wheat grass about 5 days to grow, and once it gets started, you’ll be shocked at how quickly it grows. 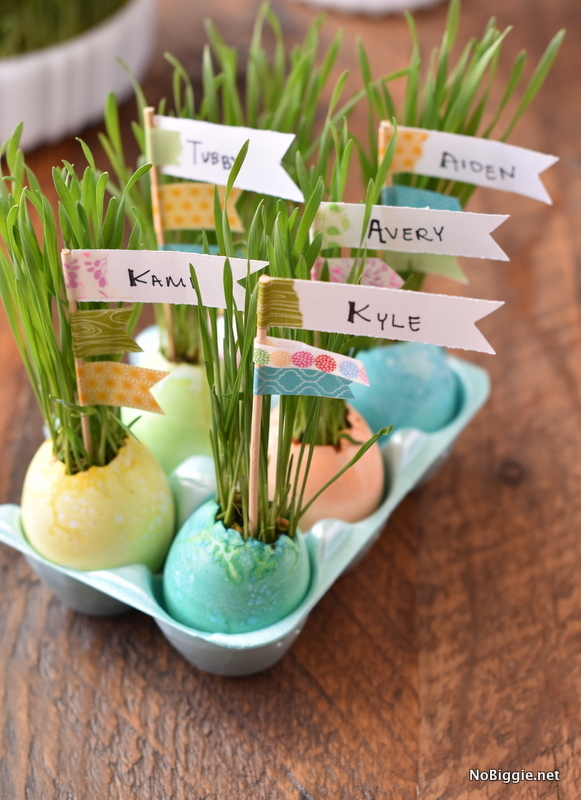 If you have never tried to grow wheat grass at home, you should…it’s so easy. Fill your desired container with potting soil. Cover the top of the soil with wheat grass seeds. Fill a small spray bottle with water and spray a good amount of water on the seeds to keep them pretty wet. Cover the top of the container with plastic wrap. Water the seeds multiple times a day for 5 to 7 days. 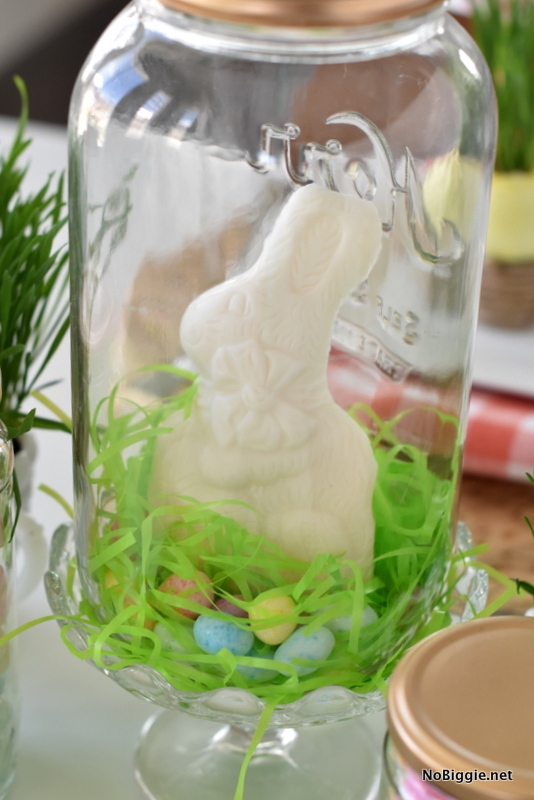 As soon as you start to see the grass come up, you can take the plastic wrap off the top. Continue watering with the spray bottle every day, as you watch the grass grow. 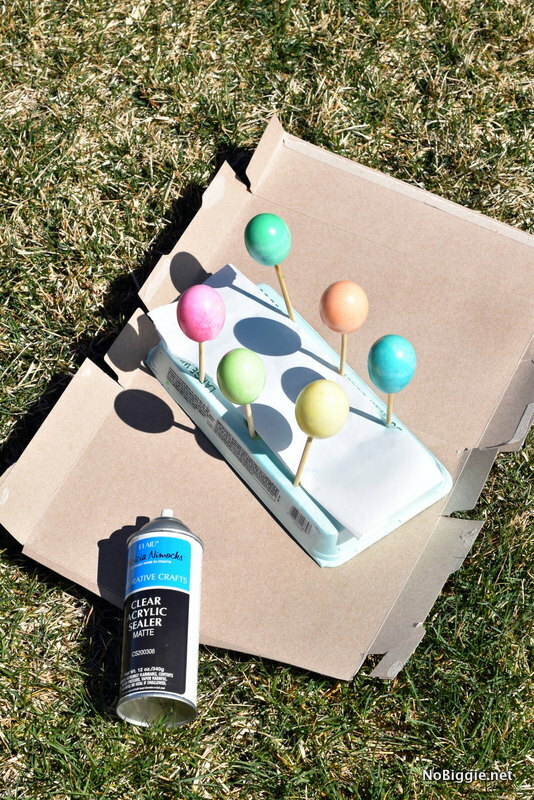 -Use a styrofoam egg container…not a cardboard egg container. If you have a plastic or porcelain egg container, feel free to use it for this…They would work great…just not cardboard. 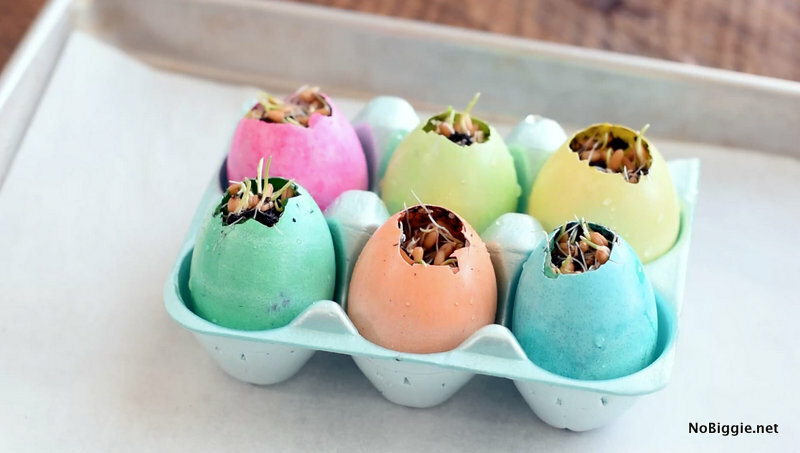 My first attempt at this DIY did not go as planned…I started with a cute kraft colored cardboard egg holder and as I watered the seeds, the cardboard became a wet soggy mess. Styrofoam is a good way to hold the eggs upright while spraying with water everyday. 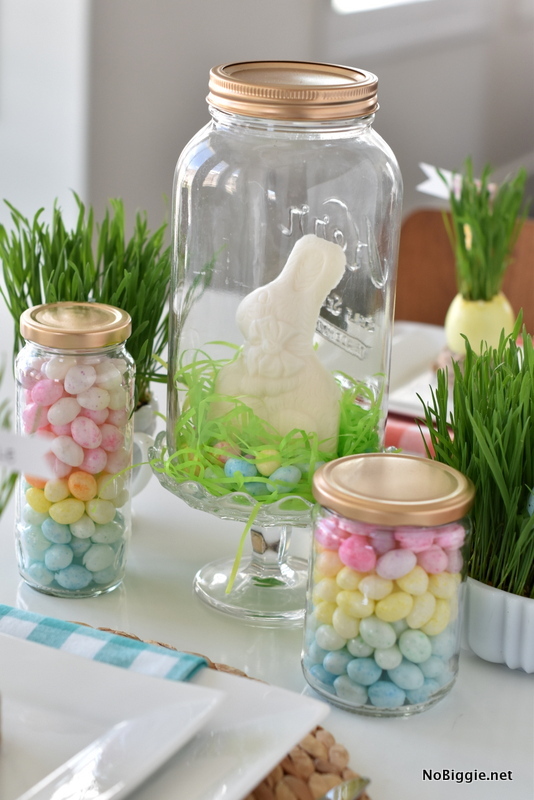 -Spray the dyed eggs with a clear acrylic sealer to keep the dye on the eggs. On my first attempt the dye slowly washed away as I sprayed the seeds with water everyday. The sealer really helps to keep the color on the eggs. 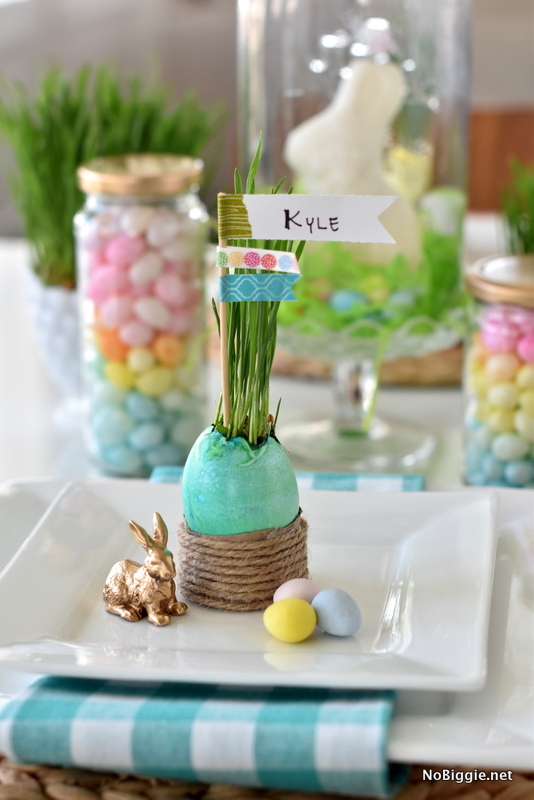 This grass is for decoration…especially after the sealer is on the eggs. In the video you can see that we emptied the eggs out of the shell before dying them. This makes it easier to get the eggs out with only a little hole on the top end. 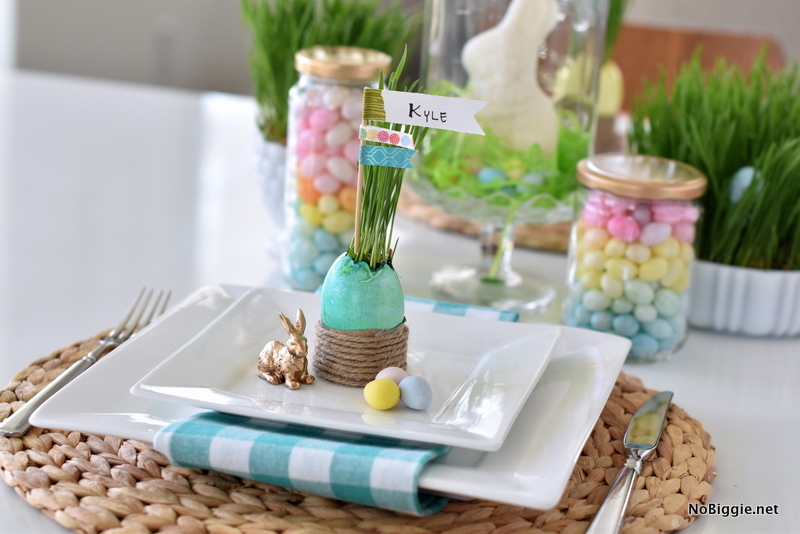 The final result is a pretty Easter Table Setting, a great way to add texture and bring the outdoors in. Happy Easter to you and yours!